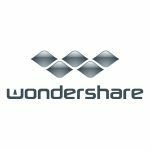 We giveaway 10 promotion codes for all Wondeshare products with up to 20% discounts! Just click on the desired product, you will be redirected to product’s page click buy, select I have a discount coupon and use code: hrmobi20 hit enter and get your discount! Promotion is only for the first 20 transactions!